Larry Harmon, the man who popularized the show business character Bozo the Clown, has died of congestive heart failure at the age of 83. Harmon did not create the flame-haired character, but played him in numerous appearances over the years. He purchased the copyright in the 1950s and licensed the character to others, including TV stations across the U.S.
Also passing this week was former North Carolina senator, Jesse Helms, 87. Helms was noted for his opposition to integration, civil rights for African Americans, modern art, AIDS research and treatment, gay rights, foreign aid that included "family planning," and for wanting to make Senator Carol Moseley Braun cry by singing "Dixie" in the Senate elevator. 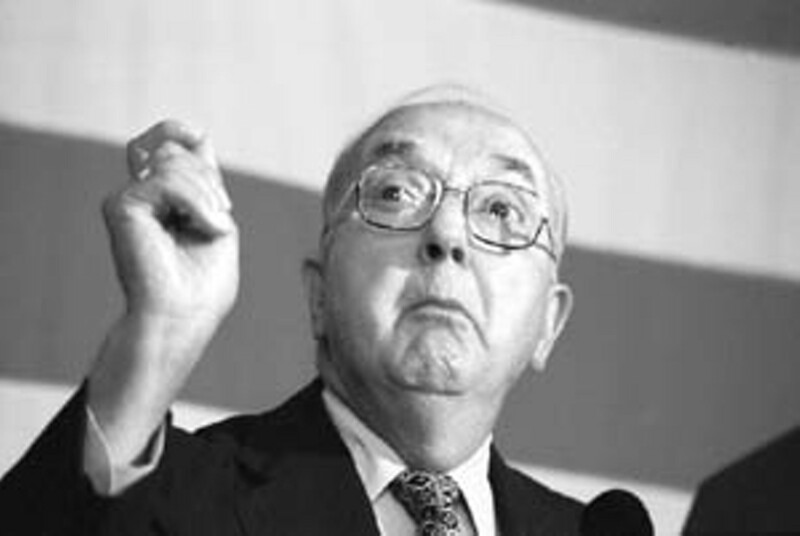 Trailing in a tough re-election fight in 1990 against a black opponent, Harvey Gantt, Helms produced a campaign ad in which a pair of hands belonging to a white job-seeker crumpled a rejection slip as an announcer explained that the job had been given to an unqualified minority candidate. Helms won the election.